The testing was done with a shooting machine, designed to release arrows at the instant the desired draw length was reached. The draw and release were completed within two seconds. 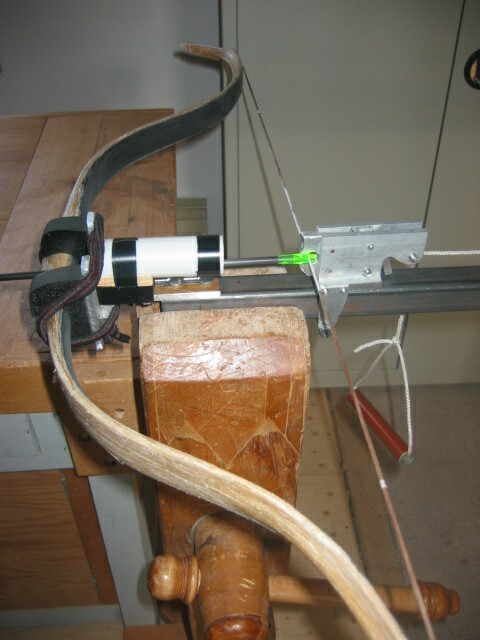 This method simulates shooting with traditional bows and reduces the effects of let-down during stress, common in bows made of natural materials. Arrows used for the tests were not spine-matched for bows. This caused the arrows to impact the arrow rests or a (simulated) siper and the degradation in performance. Efficiencies are calculated from the force-draw curves. Drawing forces were measured with a digital scale. Again, to avoid errors caused by let-down, the bows were pulled quickly to the tested length, the measurement taken within one second and the string let go before the next reading. Dacron strings were used for all bows to simulate silk. A 200 grain flight arrow will fly in vacuum 1350 yards. In air, this distance will be considerably shorter. By a rough estimate, the record 930 yard shots by the Turkish flight archers (Tozkoparan Iskender and Bursali Shuja in the early 1500s) would be done with 140-150lb bows, similar to the no.3 above. These results (and others) will be published in more detail elsewhere. An apparent trend in the data suggests an increase in efficiency of longer bows with heavier arrows, and an increase in efficiency of shorter bows with lighter arrows. The tested bows perform as well as the very best modern fibreglass/carbon bows. The 67.4lb target bow has (interpolated) speed of 209fps with a 9 grains/lb arrow, an exceptionally high performance. In addition, if tested with non-stretching bowstrings, such as Dyneema, Spectra or Fast Flight, the arrow velocity would increase by several feet per second. 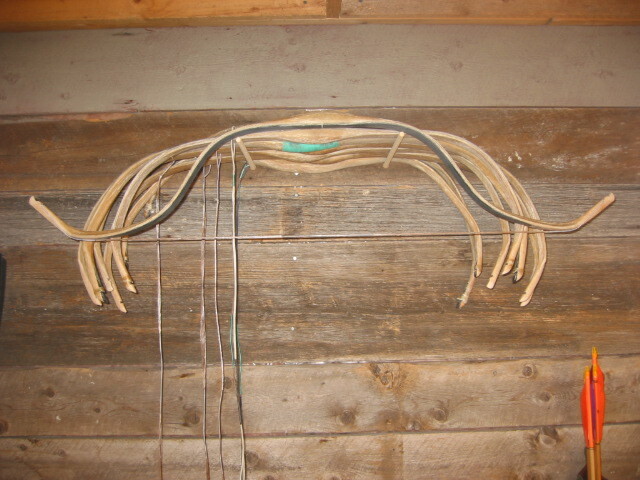 It was found the FF string adds about 6% to the efficiency of the bows, about the same as in the case of modern bows.